With the help of the software, Intrexx, SYFIT revolutionizes manufacturing equipment checks. The company has opened up entirely new digital business fields in doing so. Freiburg, the 23rd of May 2017. Every company is responsible for the occupational health and safety of their employees. Therefore, they are required to get their implemented manufacturing equipment checked on a yearly basis. This is time-consuming and expensive: Even small and medium-sized enterprises often have 30 – 50,000 pieces of manufacturing equipment subject to mandatory testing. 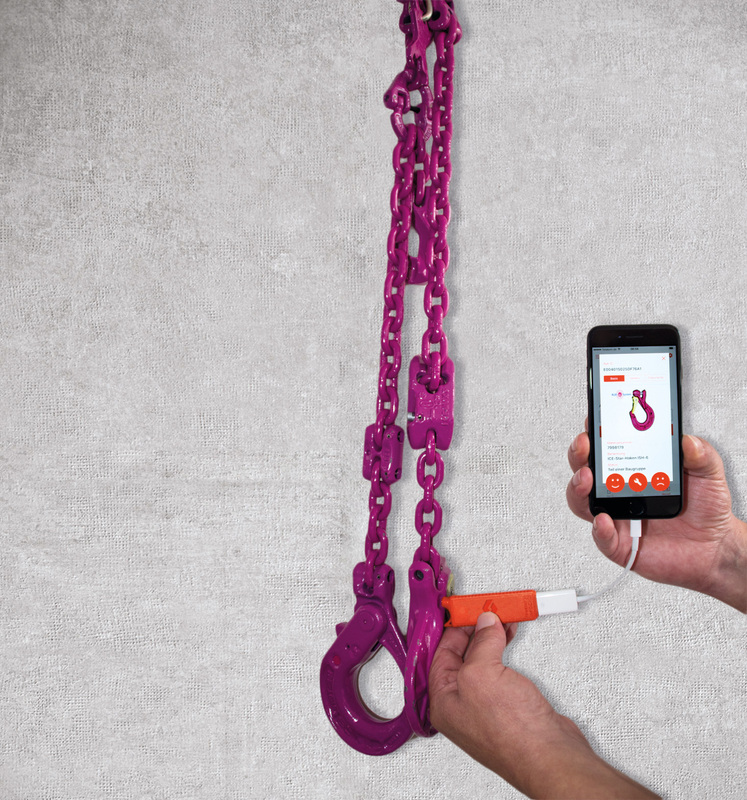 The industrial chains from the manufacturer RUD Ketten. are included in this. For this reason, the company developed a digital solution for the checking process: Every piece of manufacturing equipment is uniquely labelled with RFID chips. These are then tracked and managed end-to-end via a service platform. The Industry 4.0 cloud solution, based on the software Intrexx simplifies the checking procedure decisively. To begin with, the solution was offered exclusively to customers of RUD Ketten. Impressed by its success, they founded the subsidiary company SYFIT GmbH in February 2017 as a joint venture with German Telecom. SYFIT now markets the checking, managing and documenting software “AYE-D.NET” worldwide. The success proves him right: In Germany alone, over 32,000 companies have immediate need of a digital solution for checking manufacturing equipment, according to estimates. The IT and process expert Demeter explains: “We manage to reduce the identification of manufacturing equipment from an average of over ten minutes down to just a few seconds.” This allows companies to act economically during legally stipulated manufacturing equipment checks. SYFIT GmbH is an example of successful digital transformation: With the help of the development platform, Intrexx, Zoltan Demeter and his team are stepping into a brand new business field – and are providing their customers with unforeseen added value.